The 5052 stucco embossed aluminum sheet is the representative aluminum product of the Haomei Industrial Co., Ltd. It has many special characteristic, and today we will introduce it to you! 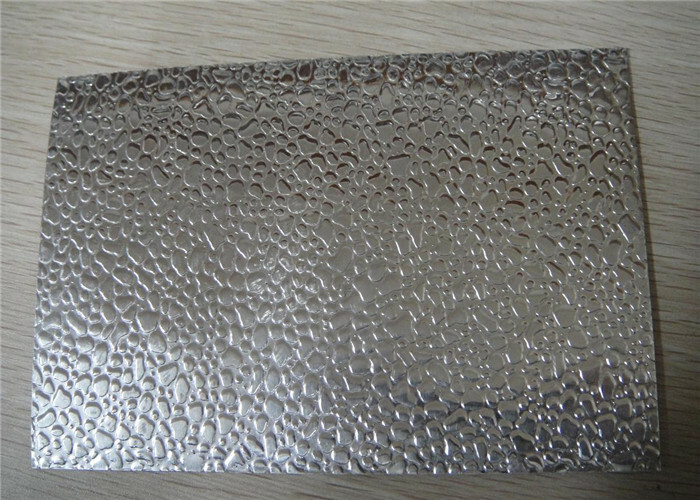 The 5052 stucco embossed aluminum sheet is made from the 5052 alloy. The thickness of it is 0.2 ~ 3 mm, and the width is 500 ~ 1500 mm. The bottom side aluminum sheet is coated with protective polyester material, thickness more than 6 micron. The 5052 stucco embossed aluminum sheet is applied in the many fields such as the construction, decoration, etc. The 5052 stucco embossed aluminum sheet manufactured by the Haomei Industrial Co., Ltd is always of the high quality, many products have been sent to the countries all over the world, the clients speak highly of the product, and we have developed the long term cooperation ship with the clients basing on the mutual trust. Apart from the 5052 stucco embossed aluminum sheet, the Haomei Industrial Co., Ltd also produce other aluminum product such as other series aluminum sheet, aluminum coil, aluminum plate, aluminum tread plate, aluminum slug, etc. if you have any demand for the products above, please contact us, and we will give you the best recommend!